It’s no wonder that Yellowstone is the world’s first national park, as it is truly a magical place that needs to be preserved. The park is absolutely massive, covering over 2 million acres in three states (Montana, Wyoming and Idaho). 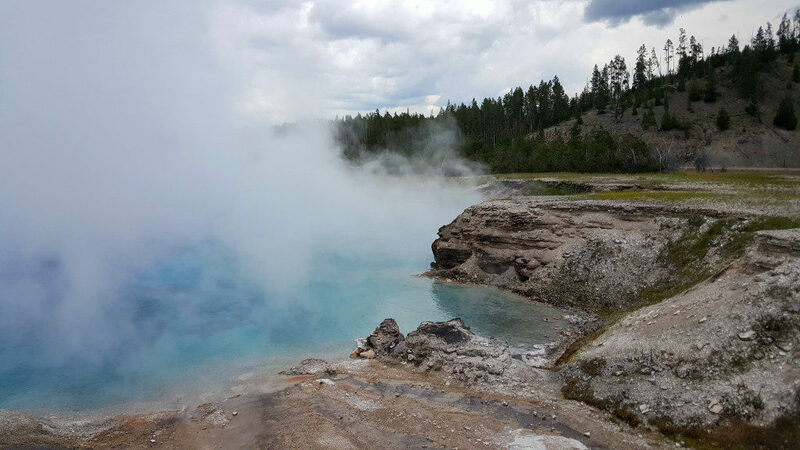 It sits on the only active supervolcano in North America giving us a truly unique ecosystem to explore. 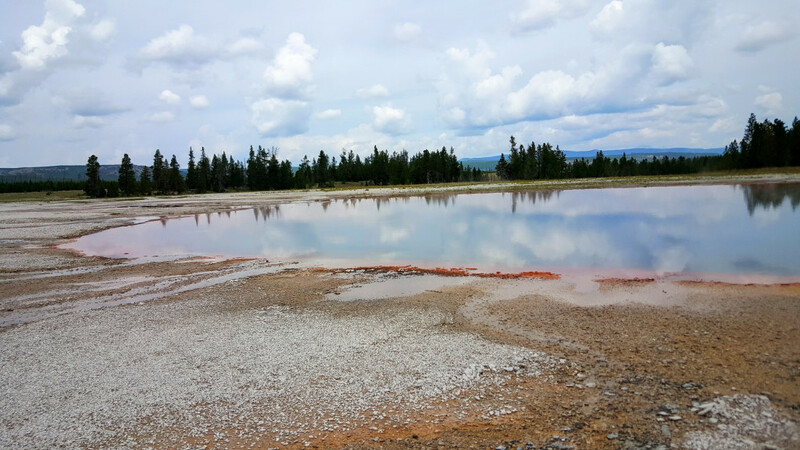 Throughout the park you will find lakes, mountains ranges, canyons, rivers, geysers, hot springs and waterfalls, as well as hundreds of animal species including American bison, elk, black bear, wolves, bald eagles, painted turtles and more. There are so many wonderful places to visit in the park, and today I wanted to share my favorite with you. This spring is mesmerizing. When I saw it for the first time I thought, “How does something this beautiful exist?” With a 370ft diameter and 164ft depth, the Grand Prismatic Spring is the largest hot spring in America and the 3rd largest hot spring in the world. As I sat next to the spring and paused to fully experience the moment, I was overwhelmed. I felt the heat coming from the water, smelled the steam as it rose through the air and looked on in wonder of the rainbow before me. How Hot is the Spring? There is just nothing like it. The bright, deep blues, greens, yellows and oranges are epic! 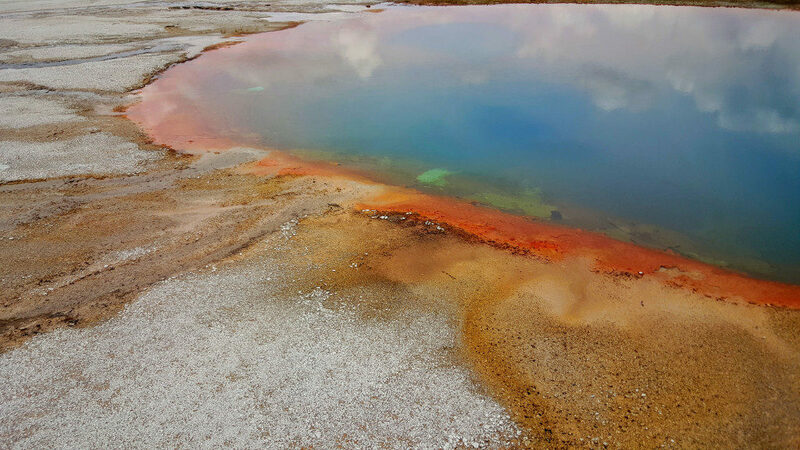 At first glance many people assume the colors are from different chemicals in the water coming from the supervolcano below, but pigments actually come from the microbes that can live at the various temperatures of the water at the surface. The center is void of most life, so the water stays clear but appears blue the same way the water in the ocean looks blue to the naked eye. The next ring is a yellow tint that is created by the presence of a cyanobacteria, called Synechococcus. When living in harsh conditions, this cyanobacteria produce carotenoids which in turn gives us the orange, red and yellow pigments. 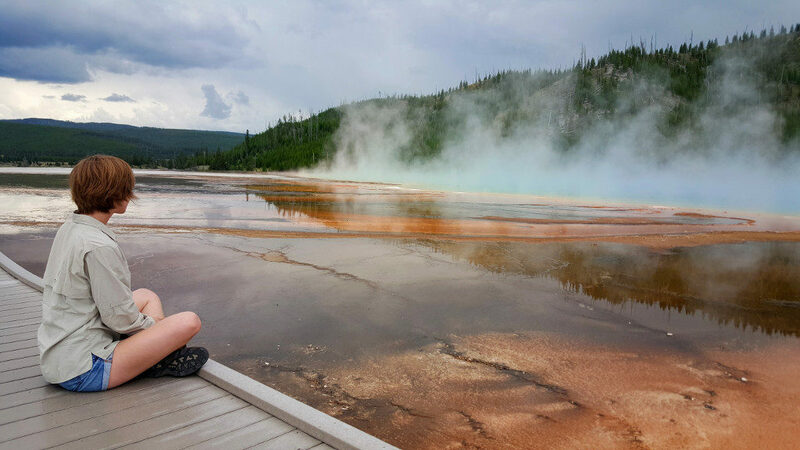 Learn more about the science behind the Grand Prismatic Spring’s color-spectrum here. Yellowstone is extremely busy in the summertime, not only because it’s a wonderful park, but also because it is covered in snow for a large portion of the year. 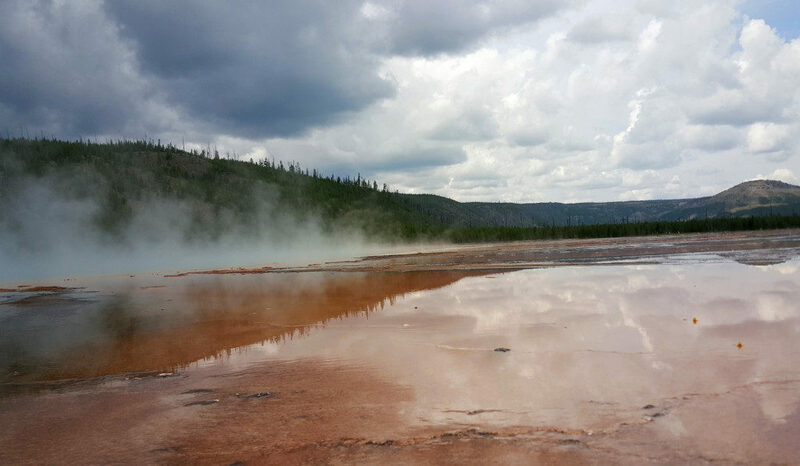 The Grand Prismatic spring is part of the Midway Geyser Basin which includes the Excelsior Geyser, as wells as the Turquoise and Indigo pools. There is a parking lot close to the spring, but it is extremely popular, so I suggest getting there as early as possible to enjoy the site and have time to take it all in. 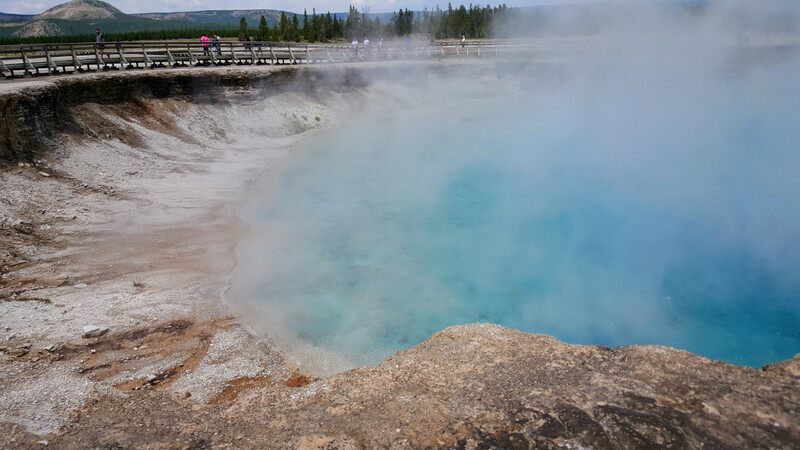 More information about how to plan your Yellowstone adventure. Sites like this are bucket-list items that you need to experience at least once in your life! Take chances. Try something new. Go on an adventure. It's time to experience the life that is right in front of you!